I confess to showing up bright and early at Tar-zhay for some of the other designer brand marriages like Missoni (not to be confused with Target’s own brand, Mossimo) and TTTT I was less than overjoyed. I picked up a “Missoni” scarf, but it was a bittersweet moment. 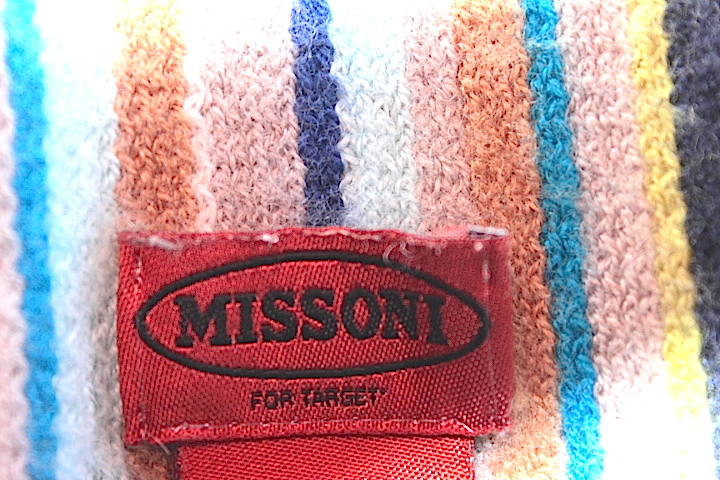 While the tag proudly proclaims it to be MISSONI, in really tiny letters you read “for Target”. It’s a feel good/feel bad moment to be considered “less than”, like a second-class citizen, not quite good enough to play with the big kids. And it’s scratchy. Several negatives. Do you think it dilutes the brand? Isn’t the whole point of “designer” to be elitist and aspirational? If everyone has semi-equal access, how special can it possibly be? I own a pretty (real) Missoni top; one of my treasures from a local consignment shop before they changed management and no longer carry any designer brands. The fit is awesome, the fabric is textural, and it’s well constructed –a high quality item. Check out the angle of this selfie; it makes me look thinner and narrower. WINNING! Not that I don’t love Target in all of its unique brand of Target-y-ness. Wandering through each and every aisle is a wonderful way to kill a few hours while the tugboat man’s away. But there’s something a little off-putting about creating a sub-line for the masses. For example, I was excited to see what Jason Wu would offer, and was disappointed. Some of the clothing was poorly sewn and poorly designed with cheap fabrics and I didn’t get a thing. It was the same with the Neiman Marcus collaboration. Nada. I don’t mean to sound snobbish; for the most part they were a big let down. Here in SoCal, we may have beaches, sunshine, and palm trees, but we’re a different breed than Miami and the Hamptons. However, I kind of love the colorful LP designs. I’ve visited the LP store at Fashion Valley in San Diego and it’s not outrageously expensive; it’ll be interesting to observe the price points at Target. 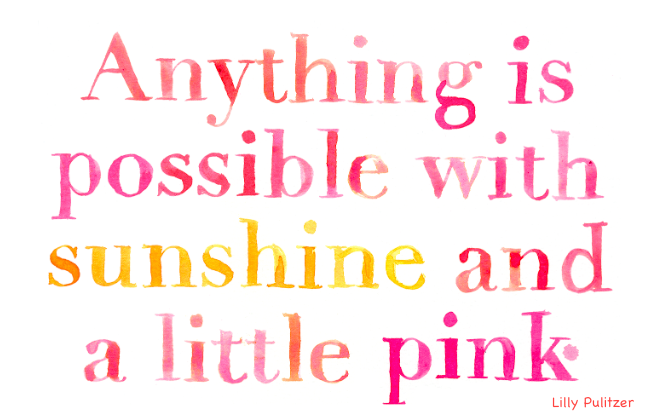 So I’ll be there bright and early on Sunday morning, but when I see the tags say Lilly Pulitzer for Target, I’ll be a little less than happy. What’s next for Target? A partnership with Chanel? Tags that say Chanel for Target? Coco would turn over in her grave. This entry was posted in All Posts, Collections, My Enchanted Life and tagged chanel, Coco Chanel, Designer Fashion, Fashion, Fashion blogging, Jason Wu, Lilly Pulitzer, Lilly Pulitzer for Target, Missoni, Missoni for Target, Neiman Marcus, shopping, The Hamptons by Enchanted Seashells by Princess Rosebud. Bookmark the permalink. I can’t comment on scarves, but certain power tool brands make slightly different versions for Home Depot and it’s the same result. A slightly lower quality tool that ultimately cheapens the brand. We were at Tar-zhay this very morning, looking at air conditioners. They want $140 for the same AC that costs $121 at Walmart. So plebeian it is. Bought two AC units at Wally World where for $140/each I got 6,000 BTU of Haier instead of a no-name 5,000 BTU from Tar-zhay. I always look in Tar-Zhay, but as often as not, they charge as if they were offering higher quality stuff, but deliver exactly the same (or worse) products as any other package store. Just for more money. Liz Claiborne is all over the place these days. J.C. Penney and Walmart, to name two. I forget which designer is working for Land’s End. Designers. 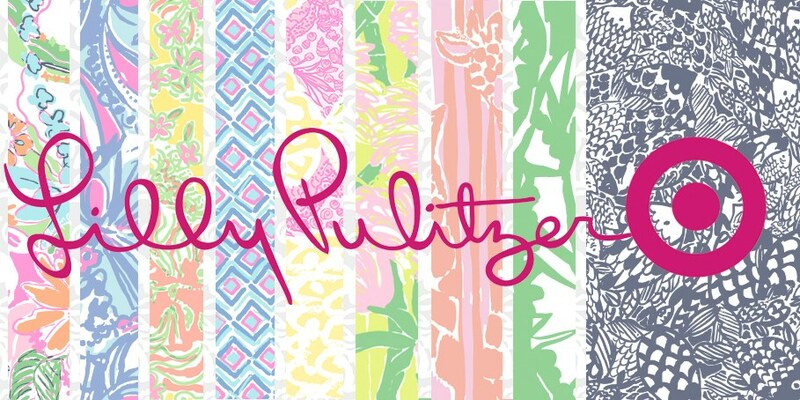 Not your mother’s Lily Pulitzer, huh. Deffo not Mommy’s LP, I would say. I’ll suss it all out and report back. Good to know about VW at Kohls, I’ve walked right by it a zillion times cos I thought it must NOT be worth looking at.